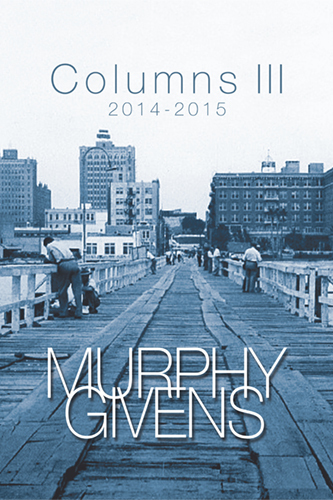 Murphy Givens’ historical articles in the Corpus Christi Caller-Times are collected by many readers. 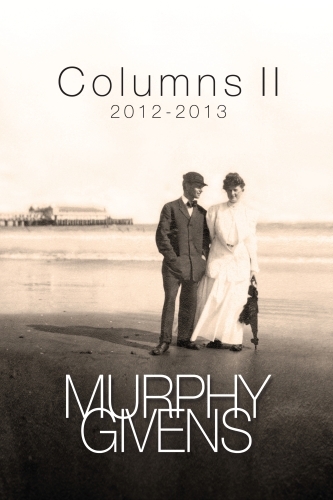 This volume, Columns II, is compiled from more than 100 columns published in 2012 and 2013. 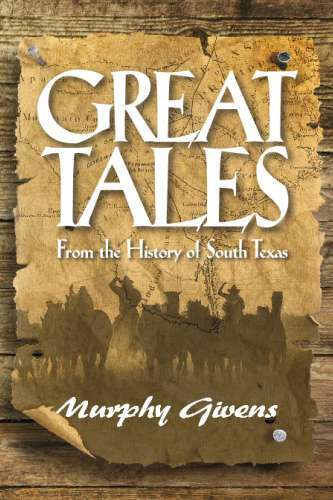 They are about the pioneers and settlers who tamed the wild land and made South Texas their home. 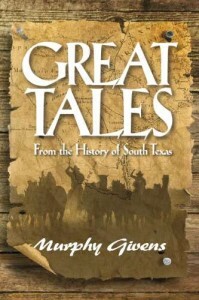 They were adventurers, outlaws, cowboys, ranchers and entrepreneurs, from all over the United States, Europe and Mexico. 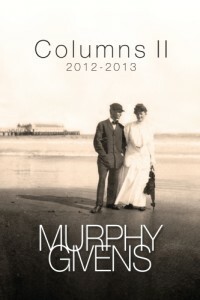 They lived in dangerous times and left a lasting legacy. 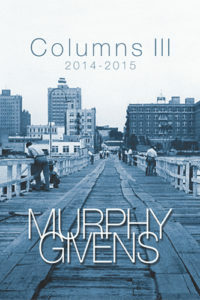 This second book of Givens’ collected newspaper columns includes 193 photographs and maps, source notes and a full index. J. B. 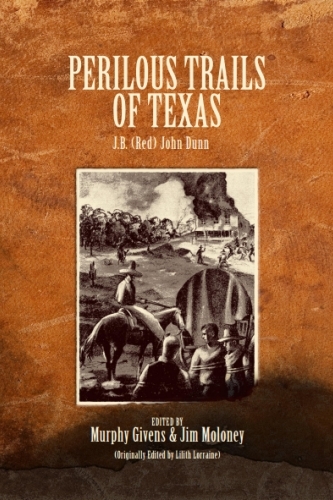 (Red) Dunn’s “Perilous Trails of Texas” gives us a unique perspective of the lawless 1870s in the Nueces Strip. 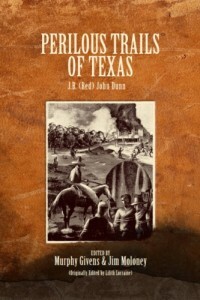 Dunn was a participant in bloody encounters between Anglo South Texans and Mexican-Americans in the rough times after the Civil War. It was a time when general lawlessness pervaded the land, darkening the days and threatening the nights. Dunn was a Texas Ranger and hard-riding vigilante. 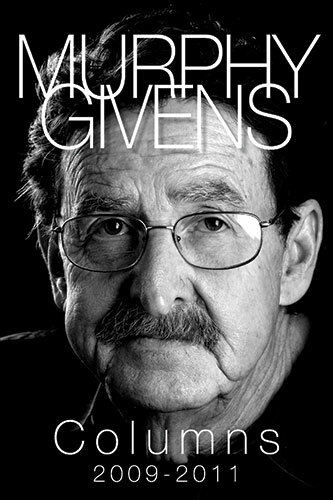 In Dunn’s time violence was ubiquitous. It was a time of undeclared warfare, a war of random encounter, with raids by bandits from across the border, with hide thieves roaming the cattle ranges and killing at will, followed by the punitive lynchings by minutemen vigilantes who were quick with the rope and the gun and left a trail of dead. In the wake of the most notorious outrages of the era, such as the robbery at Peñascal and the Nuecestown Raid, John Dunn was there, armed and in the saddle, pistols ready and rifle loaded and heart full of vengeance. 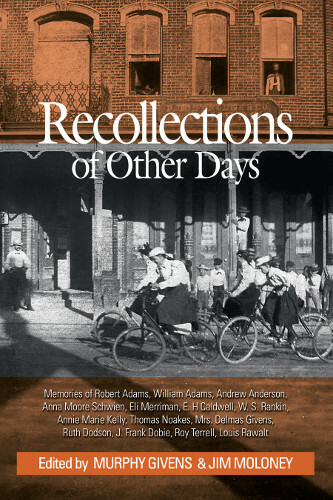 “Recollections Of Other Days” is a compilation of memoirs of early settlers of Corpus Christi and the Nueces Valley of South Texas. The great value of their accounts, both written down and told-to, lies in the fact that they lived through the times they recalled. 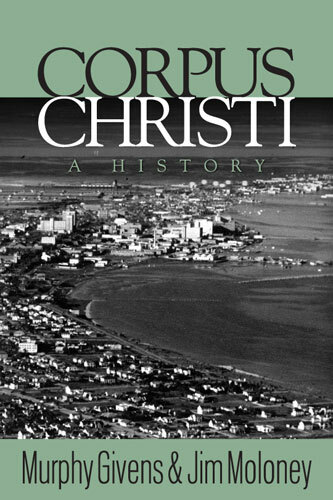 Some had first-hand knowledge of Corpus Christi in the 1850s when it was a struggling frontier outpost. Robert and William Adams tended their flocks in the early years of the great sheep industry of South Texas. 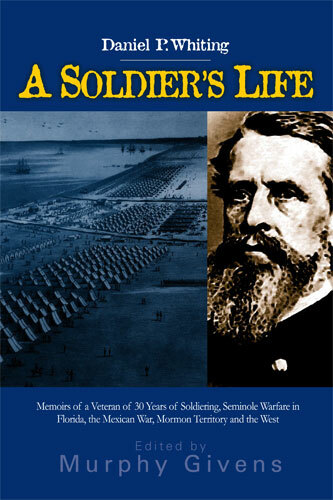 Anna Moore Schwien, daughter of a slave, Andrew Anderson, son of a bay pilot, and Eli Merriman, a doctor’s son, shed light on “what it was like” during the dark times of the Civil War. 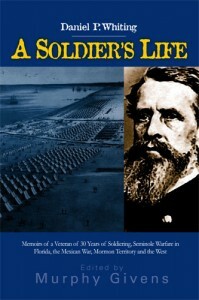 Thomas Noakes wrote about the famous Noakes Raid of 1875 while he retained a vivid memory of the sight of his burning store. E. H. Caldwell, W. S. Rankin, Annie Marie Kelly, Mrs. Delmas Givens, and Roy Terrell provide unique accounts of Corpus Christi at the end of the 19th Century and early years of the 20th Century. 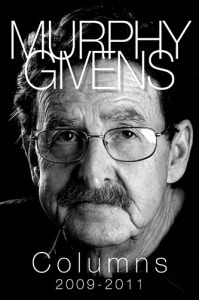 Ruth Dodson and J. Frank Dobie offer fascinating pictures of their own ranch lives in the valley watered by the Nueces River. Louis Rawalt describes the long white island where he came to die but found a new life. They bore the heat and burden and violence of the frontier. They endured hard times. Their legacy is the Texas we know today. Their stories are part of our history. And part of ourselves.